The StroboClip™ has the 1/10 cent accuracy of all Peterson strobes and also includes new Sweetened™ Tunings and alternate temperaments for a wide variety of string and wind instruments. 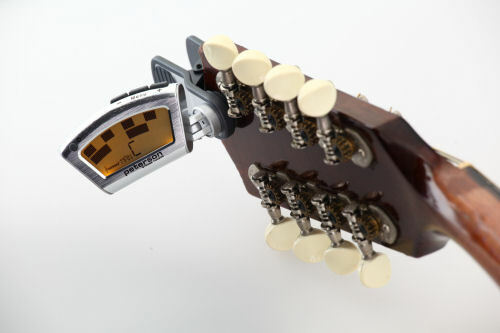 With new Sweeteners and temperaments specific to acoustic instruments, the StroboClip is the first multi-temperament clip-on tuner ever available on the market. 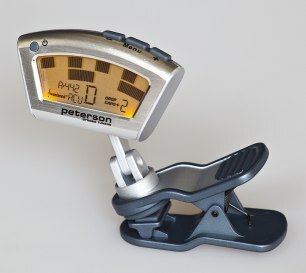 The tuner’s enclosure is made of metal ensuring stage-worthy operation. Soft, rubber pads line the jaws of the clip section to protect the instrument being tuned. 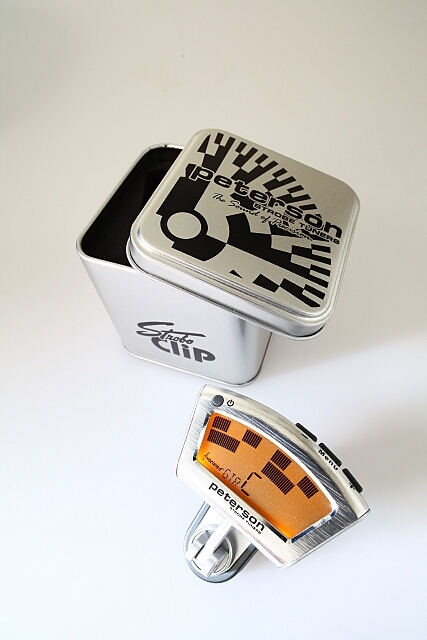 The StroboClip also introduces an exclusive SUStain Mode feature that allows the user prolonged note viewing time when tuning short-voiced instruments. The note is captured and displayed on the screen until the next time the tuner is triggered. Excellent for use with instruments like tenor banjo and similar instruments with percussive but brief signals. The StroboClip is encased in a brushed aluminum shell to help it withstand the rigors of the road and the included cushioned, metal carrying case will keep it safe when not in use. Soft, rubber pads in the jaws of the StroboClip protect the instrument's finish while providing a firm grip for maximum signal conductivity.